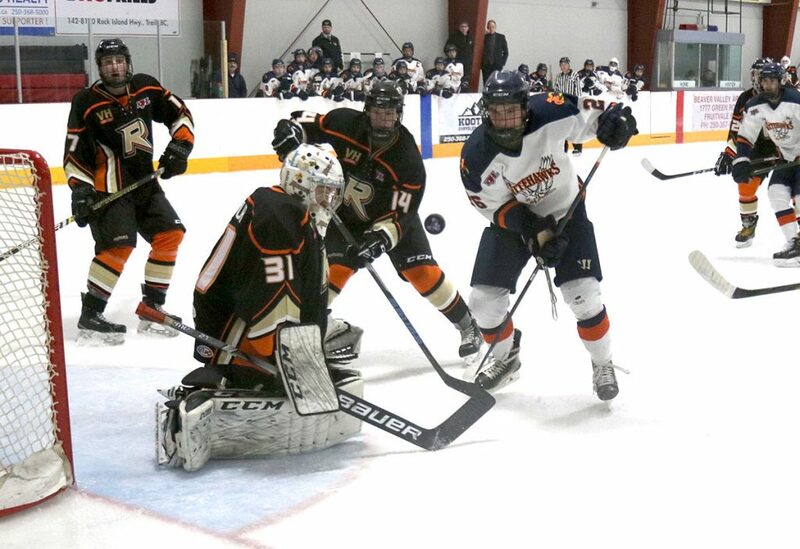 Beaver Valley Nitehawks forward Ryan Crisalli’s goal at 6:12 of the first period was all the home team needed as Noah Decottignies shut out the Castlegar Rebels in a 3-0 victory at the Hawks Nest on Wednesday. 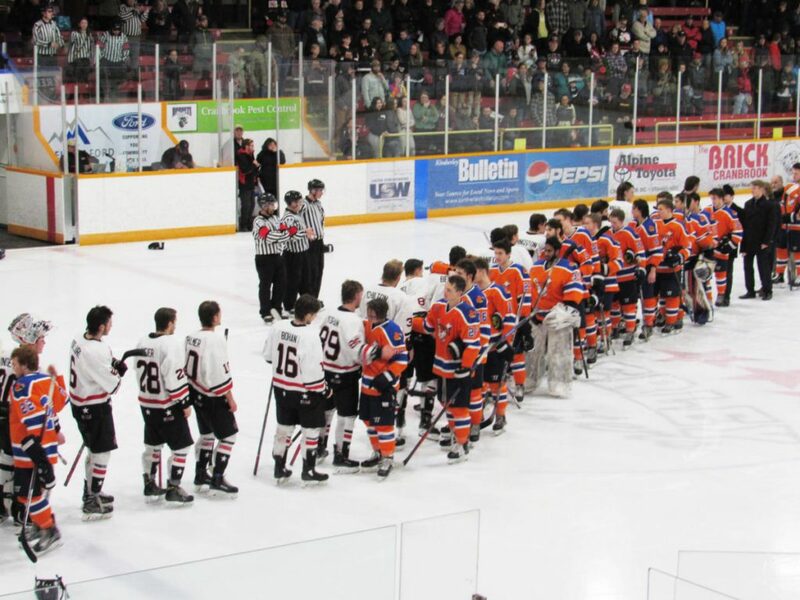 The Nitehawks played hard hitting, relentless, fast, and skilled hockey, a fitting tribute to former Nitehawk captain Sam Swanson who was honoured by the Nitehawks prior to the match and his No. 29 jersey retired. As for the game, after back-and-forth play in the early going, Rebels Gavyn Entzminger was sent off for unsportsmanlike conduct. The Hawks worked the puck down low to Michael Hagen whose shot was stopped by Castlegar goalie Cedric Lesieur, but Crisalli jumped on the rebound and from a sharp angle wired it top shelf for a 1-0 B.V. lead. The win is Beaver Valley’s seventh in eight games, a promising rebound from a tough stretch in November where the team struggled to a 3-3-1-0 record. 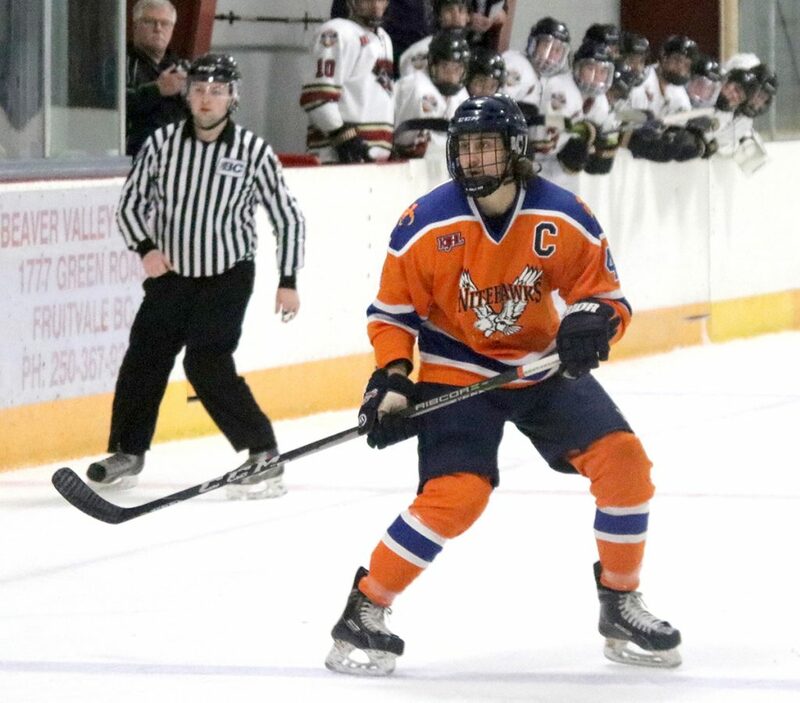 B.V. set the tone early with big hits from Kevin Deguid and Jared Stocks, as the Nitehawks held on to the one goal lead and a 12-7 edge in shots heading into the second period. B.V. came out flying, and if not for the brilliant play of Rebels goalie Lesieur the game would have been over early. Despite peppering the Rebels net the Hawks were denied through almost 15 minutes of the second period until Michael Hagen made it 2-0. The Calgary native took a pass from Nolan Corrado in the slot and wristed it past Lesieur with 5:12 to play in the second. Then with 43 seconds remaining in the period, Paul Leroux gloved down a clearing attempt and fired it at the goal only to be stymied by the Rebels goalie. Crisalli jumped on the rebound and one timed it but again was denied as Lesieur kicked out his right pad for another huge save, but with the Rebels goalie down and out, Hawks forward Kyle Guenther swooped in and lifted the rebound into the back of the net for a 3-0 lead, as B.V. outshot the Rebels 19-7 in the middle frame. 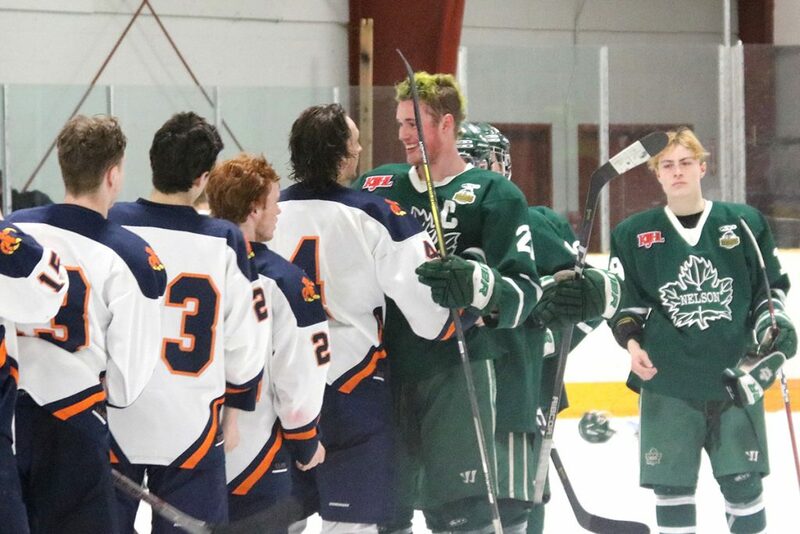 The teams ramped up the physical play in the third period with big hits leading to fighting majors for the Hawks Luke Woodrow and the Rebels Andy Petten. 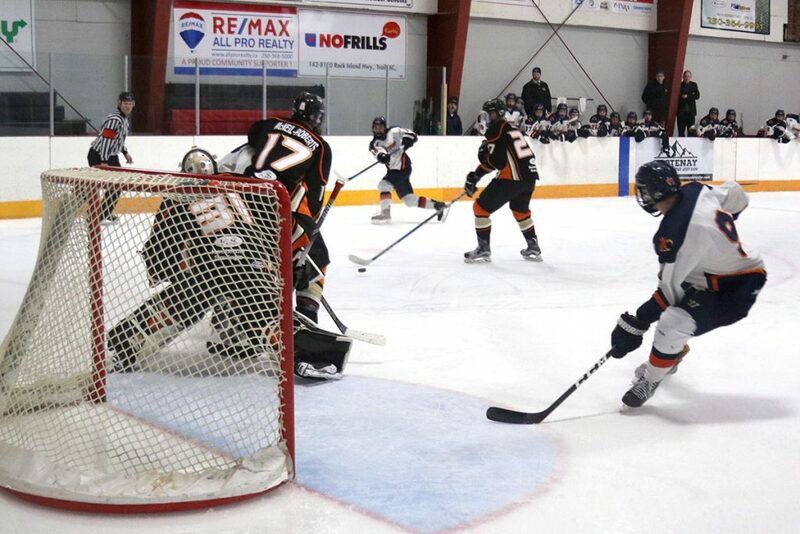 The Rebels generated a handful of promising scoring opportunities but Decottignies denied the Rebels at every attempt. 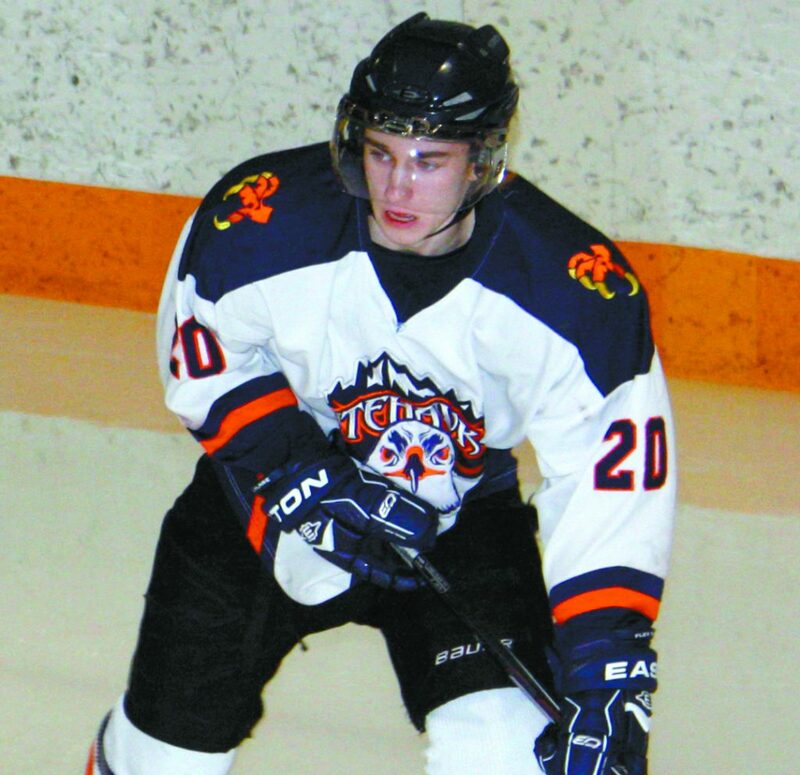 B.V. outshot Castlegar 44-20 and went 1-for-4 on the power play and a perfect 6-for-6 on the penalty kill. Decottignies earned his first shutout of the season against the Rebels, and sports a 2.63 goals-against average and an impressive .910 save percentage. Both goalies received the game star. The Nitehawks record improves to 18-11-2-2, and B.V. trails the Nelson Leafs by five points in the Neil Murdoch Division. Decottignies says the team has turned a corner and is looking forward to playing the Leafs in Nelson on Friday. The Hawks return home for a tilt against the Grand Forks Border Bruins on Saturday, with the puck drop at 7:30 p.m.